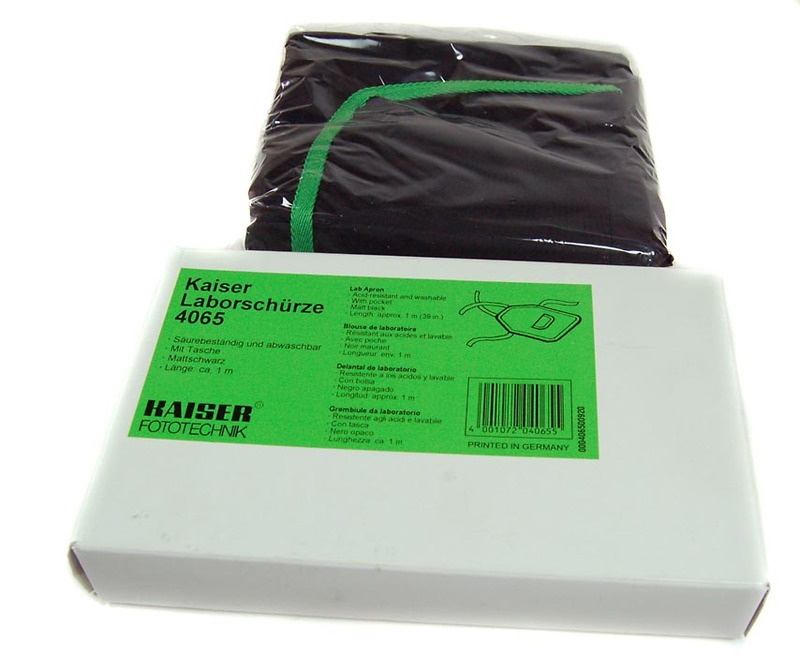 The Kaiser Laboratory Apron features an acid resistant, washable, matt black material with front pocket. Approximately 1m in length. Not to be confused with culinary aprons - if you splash this with acid it shouldn't dissolve! !